I was able to head out to the car at lunch time for a shorter than usual QRP break. Work has been a bit busy lately, so today I only got about 30 minutes of free time, about 1/2 my usual lunch break. 15 Meters seemed to be hopping today. There were lots of loud, clear signals. I worked W1AW/7 in Wyoming (again) and tried to break through the morass surrounding W1AW/KP2 with no success. I didn't want to linger and spend my entire break trying to bust through that wall. Knowing I had limited time while at the same time noting that conditions seemed to be so nice, I decided to head on down to the lower part of the band to give calling CQ a try, for a change. Much to my delight, I was answered almost immediately by Laci DL5JLC, who gave me a 599 signal report. Laci was running 100 Watts from a Kenwood TS-590 to a 3 element beam up around 35 feet. Laci reported that it was clear in eastern Germany (his QTH is near Chemnitz), but was around 44F (7C), while we were experiencing a relative balmy 65F (18C) here in NJ, with cloudy skies. We ended up having a pleasant 14 minute "rag chew" which was very, very nice as well as very, very satisfying. Laci proved to be a most gracious and welcoming QSO partner. No matter how long I do this, Amateur Radio in general and QRP in particular just never get old for me. It fascinates me to no end that only 5 Watts of RF energy can traverse the globe some 4,000 miles and can sustain reliable communications over that distance. Yes, I know that Laci's 3 elements at 10 Meters was the major part in making that a reality - but it still seems so very cool to me that QSOs like this can happen at all. What a great way to spend lunch time! 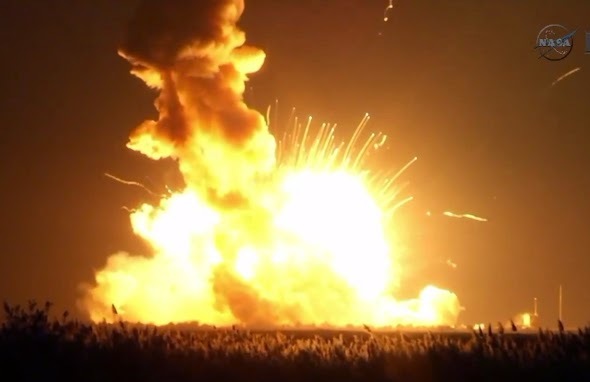 Most of you have undoubtedly heard by now that the Antares rocket, launched from NASA's Wallops Island Launch Facility in Virginia, blew up 6 seconds after lift off. Unfortunately, the rocket was carrying various OSCAR satellites, specifically the GOMX-2 and RACE CubeSats. Fortunately, it appears that no ground personnel were injured or killed by the mishap. "The 2U GMX-2 CubeSat was intended to test a de-orbit system designed by Aalborg University in Denmark. 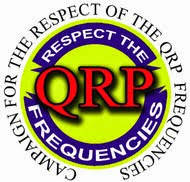 Karl Klaus Laursen, OZ2KK, is listed as the “responsible operator” on International Amateur Radio Union frequency coordination documents. The Amateur Radio payload proposed using a 9.6 k MSK data downlink on 437.250 MHz. Also on board was an optical communications experiment from the National University of Singapore. The mission also hoped to flight qualify a new high-speed UHF transceiver and SDR receiver built by an Aalborg University team. The Radiometer Atmospheric Cubesat Experiment (RACE) CubeSat was a joint project between The Texas Spacecraft Laboratory (TSL) at the University of Texas-Austin and NASA’s Jet Propulsion Laboratory (JPL). It carried a 183 GHz radiometer, a new science instrument designed by JPL. The primary objective of the RACE mission was to collect atmospheric water vapor measurements. The spacecraft was equipped to transmit using GMSK at 38.4 k and CW telemetry on a downlink frequency of 437.525MHz, as coordinated with the IARU. TSL’s Edgar Glenn Lightsey, KE5DDG, was listed in the IARU coordination documents as the responsible operator." The Antares rocket is a design of the Orbital Space Sciences group. It was on a re-supply mission to the International Space Station and had 5000 pounds of cargo as well as more than two dozen satellites on board. Mankind has been launching payloads into earth orbit for 57 years now. This just goes to show, that as much as this is "rocket science" - that stuff still happens. On a related note, I was able to visually witness a very nice pass of the ISS this Monday evening. It was about a 60 or 70 degree pass just around local sunset. The ISS was very bright and showed up on the horizon right on cue. Wonderful how that works, isn't it? As I watched it fly overhead, just over the waxing crescent moon, I was reminded of the many passes of RS10/11 and RS12/13 in the 90s. I used to work those LEOs a lot, and had many pleasurable contacts over them. Julian G4ILO passed away the other day. You can read the details from several of the blogs in the blog roll. I knew Julian only from occasional private correspondance and from his blogs. It doesn't take a rocket scientist to also know (from reading between the lines) that Julian was also a loving husband and a very brave man, who fought his condition with grace and dignity to the very last. He bore his suffering well. He will be sorely missed. Amazing how a person who lives some 3,000 miles away from you, whom you have never met face to face, can have such a profound effect on your life. Prayers and thoughts to Olga and the friends and family of Julian Moss. I took another vacation day today, in order to have another long weekend. I was hoping to get back up to Washington Rock and get some more outdoor QRP in. However, while the Nor'Easter we've had the past two days is pulling away, it has left a mostly cloudy day, with raw, stiff breezes in its wake as it leaves. So, to quote Clint Eastwood from "Heartbreak Ridge", it's time to "improvise, adapt and overcome". So I am spending the day doing the house chores that I would have done tomorrow. And according to the weather prognosticators, tomorrow is supposed to be sunny and about 10 degrees warmer than today. 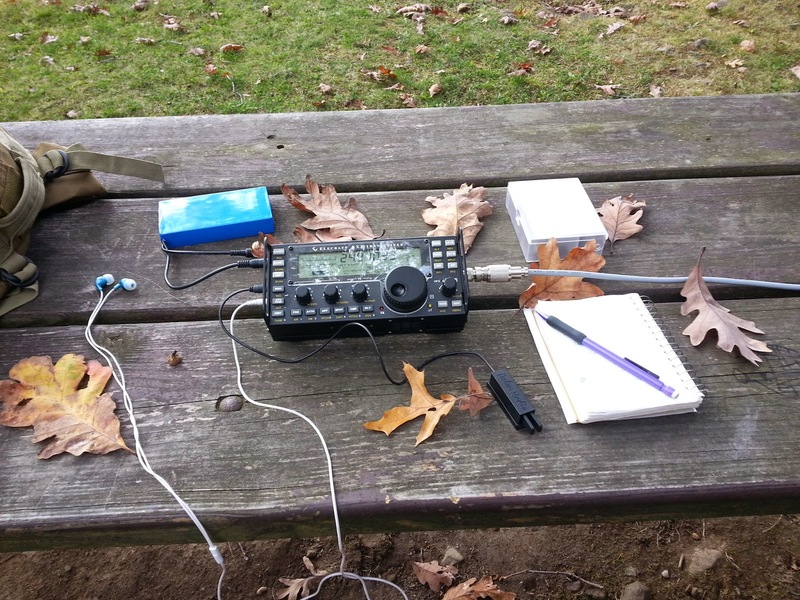 A good day to spend a couple hours in the park with a KX3 and a wire in a tall, tall tree. And also on my side ...... it appears the effects from that solar flare we had the other day are waning as well. So tomorrow may be a better solar weather day, too. BTW, I managed to work VK9DLX the other night on 15 Meters. I tried for about a 1/2 hour with 5 Watts and gave in to turning the KXPA100 up to 90 Watts. (Mea culpa, mea culpa, mea maxima culpa - recited while beating breast!) That's what I bought it for, after all. Another new one in the log. I just had the ARRL update my DXCC standings from new countries worked via Log of the World. I am up to 171 countries now - officially. I have several more that I have to direct QSL (with the appropriate bri ..... I mean green stamps). Counting those, I should be pert' near 180 countries confirmed. Oh, another thing I hope to acomplish this weekend .....get all the Skeeter certificates out. Keep an eye peeled on your mailbox for the next little while. 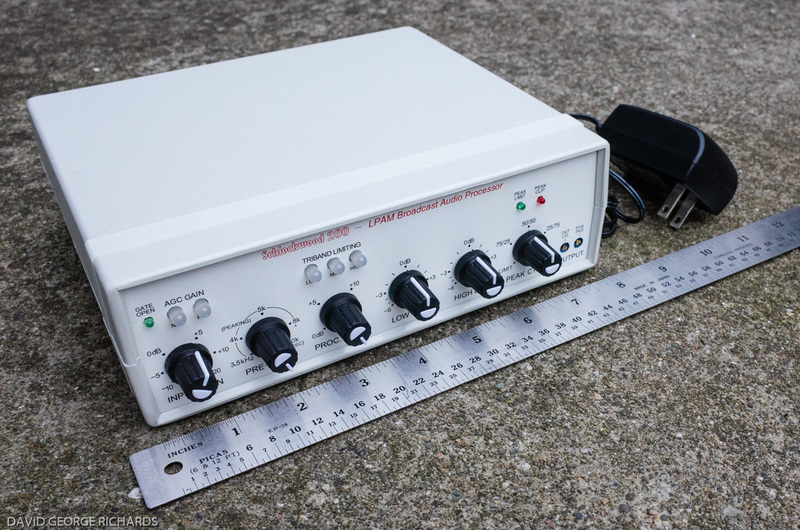 going on over at QRP-L about portable antennas. The catalyst for the "debate" is this article. Lot's of good input by lots of people who know what they are talking about. And as always, for portable operations (my emphasis), it seems to boil down to efficiency vs. ease of use. Both Steve Weber KD1JV and Ron Polytika WB3AAL, who have done a lot of operating from the Appalachian trail, point out that while classic dipoles may be the most efficient antenna to use, there are practical logistical problems associated with them. There may not always be trees available, and even when there are trees available, there may be so many and so close together, that hoisting up a dipole may not be practical. I have to agree with Steve that hoisting a dipole or doublet in the classic sense, in a portable situation (especially when you are by yourself) can be an experiment in frustration. Steve is a proponent of the End Fed Half Wave, while Ron likes a version of the portable vertical that he has designed and yields quite acceptable results for him. I have used both and personally prefer the end fed wire for the ease of deployment. Don't get me wrong. I have verticals antennas and love them. My Butternut at home and my Buddistick on top of the Jeep have both done very well for me. But as always, the ground plane is crucial. Close to 60 radials at home and the Jeep's metal body acting as a ground plane for the Buddistick make all the difference in the world. The thing that surprises me though, is that when speaking of dipoles or doublets, everyone always seems to think of them in the classic flat top or Inverted Vee configuration, which of course, requires three supports. I have used doublets, such as the NorCal doublet as a sloper and as a vertical dipole with a modicum of success. My first Flight of the Bumblebees effort used the NorCal Doublet as a sloper and I was quite pleased with the results. What it boils down to, of course, is that you have to try different things and see what works best for you. There is no single correct answer to the question of "What is the best portable antenna?" What will work in one situation may be totally unsuitable for another. No archer carries only one arrow in his quiver. Hams who are adroit in portable operations always seem to be carry more than one antenna configuration into the field with them, as long as they meet the requirements for portability and ease of use. And I think all Hams who love portable operations are on a constant quest for the "Holy Grail", an antenna that is lightweight, quick and easy to deploy, and will work as many bands as possible. I don't live in the rural areas of New Hampshire like my good friend Jim W1PID. No, look up "suburbia" in the dictionary, and there's probably a picture of South Plainfield there. Standard 100' X 50' suburban lots dominate the landscape in this area. 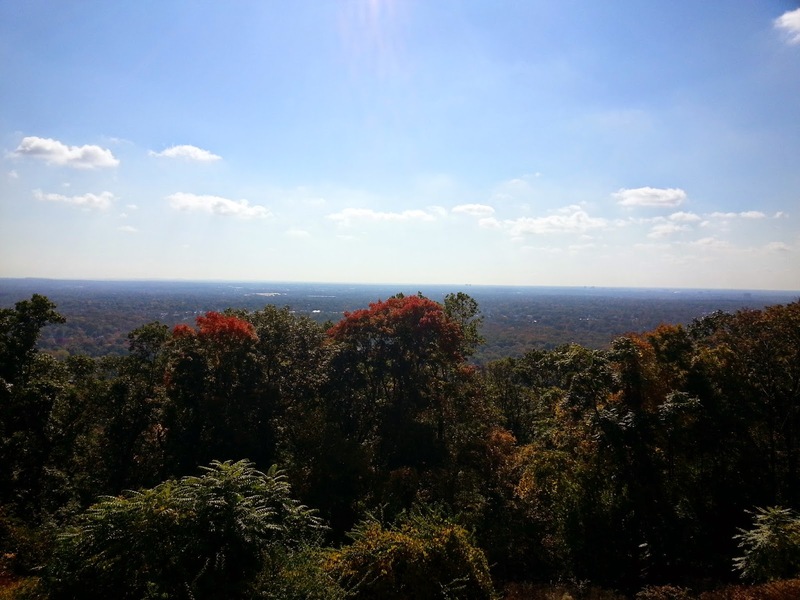 Not only is New Jersey the most densely populated state in the Union, but Middlesex County is the most densely populated county in New Jersey. So to find some rural beauty, one has to drive a little bit from here. Unfortunately, it's not a bike ride or hike away. It used to be, but that's another story. So I did something this morning that I wanted to do for a very long time. 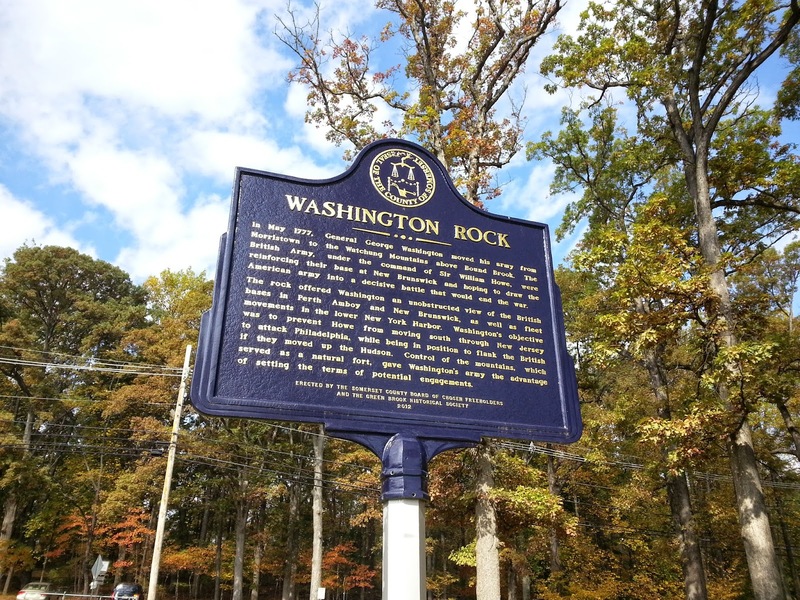 I took a ride up to Washington Rock State Park in Greenbrook, NJ, which is about two towns over from South Plainfield. 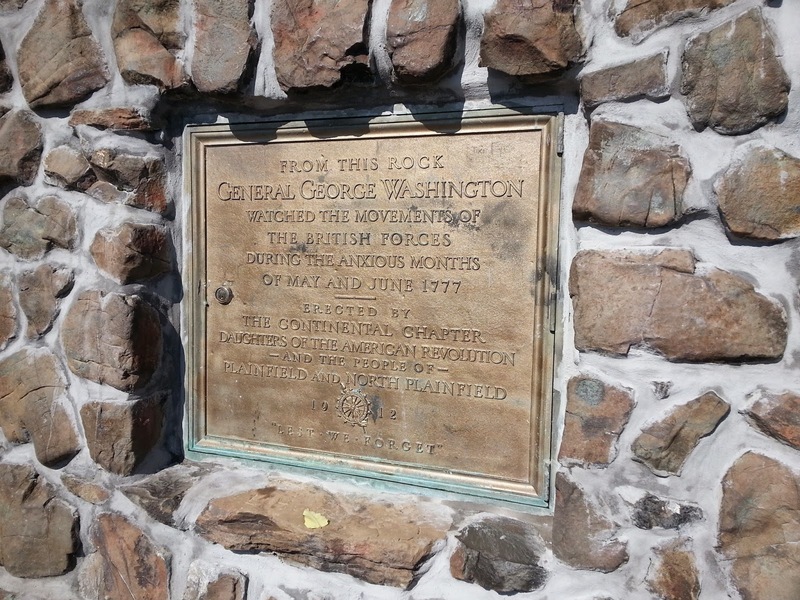 It was from this vantage point that George Washington kept tabs on British troop movements during the Revolutionary War in 1777. 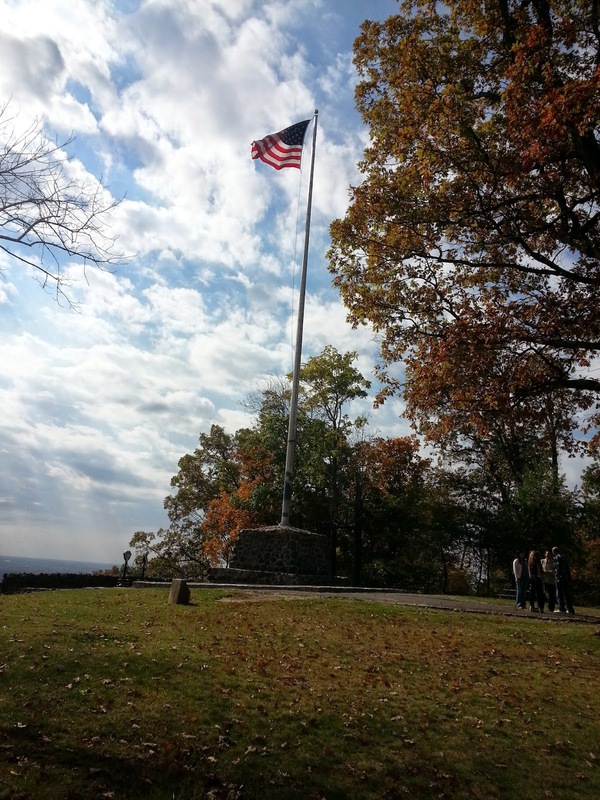 Today, it's a state park with a monument. Looking slightly north and east, with a "spy glass" you can see the Manhattan skyline easily. This gives a view towards south and east. Again with a "spy glass' it was possible to keep tabs on Sandy Hook. There's lot of picnic tables that are just perfect for setting up a portable station, And that's exactly what I did. I launched the PAR END FEDZ into a handy tree and proceeded to go to town. On 20 Meters, I worked W5AHP, Joe in Texas, and then WN2DX, Marty in Somerset, NJ. We were probably line of sight communications! After Marty, I worked Kurt W8IQ in Toldeo, Ohio. Before QSYing to another band, I snagged W1AW/4 in Alabama. The lower end of 20 Meters and most of 15 Meters seemed to be wall-to-wall Work All Germany contest stations, so I sidled on up to 12 Meters, which was open! I worked 2SZ, the special event station in London, PA1CC in the Netherlands and finally GB0GDS, a JOTA (Boy Scout Jamboree on the Air) station from Scotland. I really love my LowePro 150 camera bag that I use to carry my "portable" KX3. It's padded, it has compartments that you can configure, it has just about everything you could want. Except that it's starting to get a little crowded. I can't easily carry the PAR END FEDZ and the EARCHI and a 25 foot roll of coax in there - just too tight. It's a Krevis tactical backpack that I found on eBay for a very nice price. It's padded and while I can't make individualized compartments ala` LowePro, I can fit everything that I need for a Sprint's worth of operating away from home, or the Jeep. There's even a special compartment in this pack for a hydration bladder (not included) that nicely fits the PAR and the rolled up radiator for the EARCHI. Rather than plopping the KX3 in the bottom of the pack and piling all kinds of goodies on top of it, I have a padded tactical pistol case that fits the transceiver like a glove. So the KX3 actually ends up being double padded and even more secure than in the LowePro! So while the weather up in the Northeast is getting ready to become Winter-like, I already have my eye on the prize and am keeping my eyes focused on next Spring and Summer. 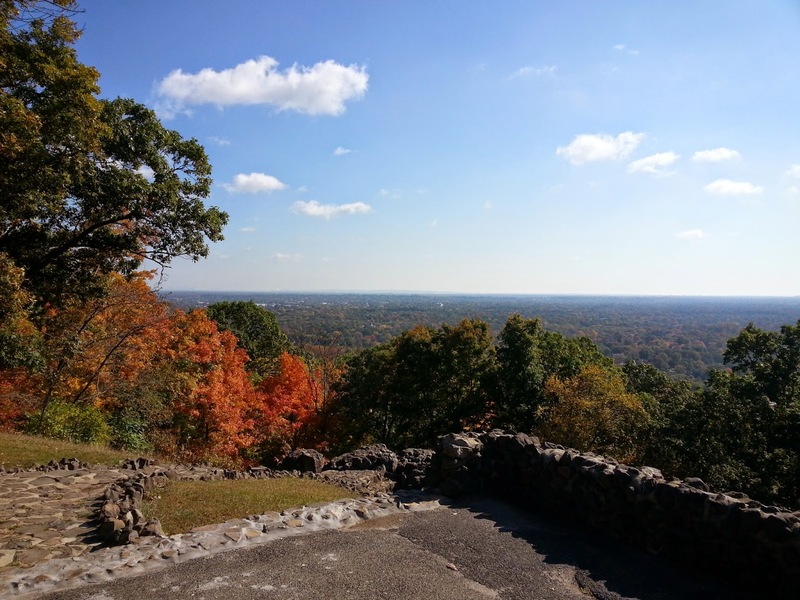 I am hoping to make a trip or two to High Point, NJ to do a SOTA activation with Dave KD2FSI, one of the more recently licensed Techs from the South Plainfield Amateur Radio Club. He carries his FT-817 in something very similar to this, and I owe him for the inspiration. Just a reminder. I will be on the air tonight (Wednesday) and tomorrow night (Thursday) as N2A, the NAQCC Special Event Station from 0000 to 0200 UTC on or about 7.040 MHz. That's the plan, anyway. Mother Nature might have other plans as a cold front is about to march through our area. I am hoping that the thunderstorms they are predicting are a "no-show". Sooooooo, listen for me on 40 Meters and I will hand you NAQCC #1100 and a short QSO. On Friday night, from 0000 to 0300 UTC, I will be on 80 Meters on or about 3.560 MHz. I hope to be busy for the whole time - sending CQ over and over without any responses is about as exciting as watching grass grow or paint dry. I will spot myself on QRPSPOTS. So please, keep me company if you can. I will schedule some time Friday afternoon as it becomes available. Congratulations are in order to fellow QRPer and blogger, John N8ZYA. In an e-mail this morning from the President of the NAQCC, Paul Huff N8XMS, it was announced that John has been selected to serve as the new Vice-President of that fine organization. A most appropriate and deserving choice! 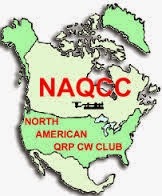 This week, from October 13th to the 19th, the North American QRP CW Club (NAQCC) is celebrating the 10th Anniversary of its founding. There will be N#A stations on the air - N1A, N2A, N3A - all the way through N0A. Coincidentally, I will be taking a vacation day from work this Friday, October 17th - so after some chores, I will probably get on during the day to try and work some of the higher bands. As you can see from the table, I was on 20 Meters last night. It was dead - deader than a door nail! So towards the end of my shift, I checked with the Reverse Beacon Network to make sure that there were no N2A stations on 80 Meters and I shifted over there. It was better. Not much, but I did manage to make a few QSOs. For all the information about the NAQCC's Anniversary celebration, you can go to http://www.naqcc.info/main_n3a.html. All the QSL information is there. To see a list of activity that's already been planned, go to http://www.naqcc.info/spot_schedule.php. Keep in mind, this is activity that has been pre-scheduled to this point. More will be added as operator's personal time permits. I know that I probably won't be able to add my additional Friday or Saturday daytime operating time until relatively close to when it's actually going to happen. In addition, I'm not sure that I will operate from home or perhaps the local park. So check the schedule often as it will most likely be amended - a lot! As I mentioned before, another good tool to check for NAQCC Anniversary activity is to simply go over to the Reverse Beacon Network and simply plug in the N#A call for any, or perhaps the particular district your interested in QSOing with. For example, just enter N2A where it says "search spot by callsign" under the map. That will tell you where WA2NYY, WK2T, K2YGM or myself happen to be at any particular moment. Oh, and if you try to work me as N2A, please be patient! I am trying to make these QSOs just a tad more than "TNX UR 599, 73 DE N2A". Not ragchews, per se, but definitely more than get-it-done-with-quick. UPDATE: Thanks to the following, who kept me company during lunch and got in a QSO with N2A (me) in the process - Steve AB0XE, Andy KD4UKW, Anthony KK4VAU, Van N4ERM - all on 20 Meters - 14.060 MHz. Oh, and Van ..... not sure what you were using as far as rigs go, but your signal almost made my earbuds pop out - 599 +++! Great signal from North Carolina! At the conclusion of tonight's SPARC Technician License course, we will have reached the halfway point. Four sessions down with four to go and then the exams on the night of November 18th. There is soooo much to cover and so many questions to answer. Each session is supposed to end at 9:00 PM but except for one, they have all gone over. In between classes, our students are supposedly doing their reading and we advised them to really begin with the online tests, if they haven't already. They know enough by now, that they should be able to at least get a 50%. I have also been e-mailing video links to them, giving them You Tube videos to watch that hopefully might augment the material we covered in class the previous week. All this makes me wonder how useful are those HamCram classes that you read about. I've been a VE at a couple and they seem successful enough. I am told that the way it is supposed to work is that the students study the license manual and do all the reading on their own for 8 weeks prior to the cram session. Then the all day (or two day) cram session winds up being a "super review" session where the material is gone over, reinforced, and any questions or unclear concepts are made crystal. I'm not sure that would have worked for me back in the day when I became a Novice. I liked the fact that there was a licensed Ham that I could go to each week to have as a resource to answer the questions I had - and there were plenty. Plus the fact we had to learn Morse, we needed that weekly encouragement with that, also. Even though our students are sharp, they still have questions. We clear them up the best we can, so they can move on to the next batch of material without unsettled concepts lurking around in the back of their minds. I'd hate to think of how I'd spend a day (or two) answering 8 weeks worth of unanswered questions! I suppose if you're a real disciplined, self-starter type that doesn't need the occasional nudge, then a HamCram might work well for you. I am happy with our format, though. I like the idea of getting to know our students over the 8 week period and helping them feel like they're being welcomed into the Amateur Radio community. I am hoping that these students will become way more than that, that they will become my friends who I will get to know even better, and share laughs and Amateur Radio adventures with in the years to come. It's that time of the year. Leaves are changing to yellow and gold, the pumpkins are bright orange, even snow already in some places (uugh), it's getting dark sooner, and Zombies are getting restless. The 16th annual ZOMBIE SHUFFLE will be held on Friday, November 7, 2014 from 6 p.m. to midnight, your local time. The Shuffle is always held on the Friday closest to Halloween (except that 2012 Mayan thing), and to avoid the ARRL CW Sweepstakes. With Halloween on Friday this year, the Shuffle will be on the following Friday, Nov. 7. Rules about as usual, which I will get up on my website shortly. 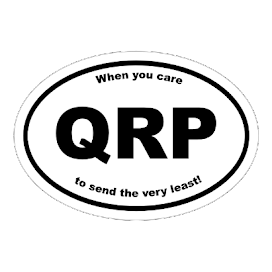 FOR NEW QRPers, the Zombie Shuffle is a contest that serves no Earthly purpose whatsoever except to get on the air, work fellow QRP Zombies, and have some goofy fun. You exchange either your Zombie number or telephone area code, and you add those numbers up for a ridiculously large basic score, then add some equally goofy bonus points and multipliers. Serendipity more than zipping along at 35 wpm. 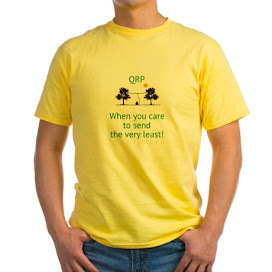 For some, the Shuffle has been their first QRP CW contacts. ZOMBIE NUMBERS are sequential and assigned by the Grand Witchess, Jan NØQT. If you don't have a Zombie Number, request one from Jan at: n0qt@arrl.net Put ZOMBIE in the subject so it doesn't get confused with those emails from Nigeria. If you think the above is absolutely nutty, screwy, not keeping with accepted contest guidelines, and a total waste of time, even for the dead... then the Zombie Shuffle is for you!!! Mark your calendars and see you on the Shuffle Nov. 7. Thanks, Paul, for once again taking this on. This is a really fun event and I was so glad and surprised to see that the event is actually on the Friday AFTER Hallowe'en. On Hallowe'en evening proper, I have a radio club meeting and was fearing not being able to participate in the Shuffle, or perhaps only briefly. Now that it's the following weekend, I am really looking forward to it! 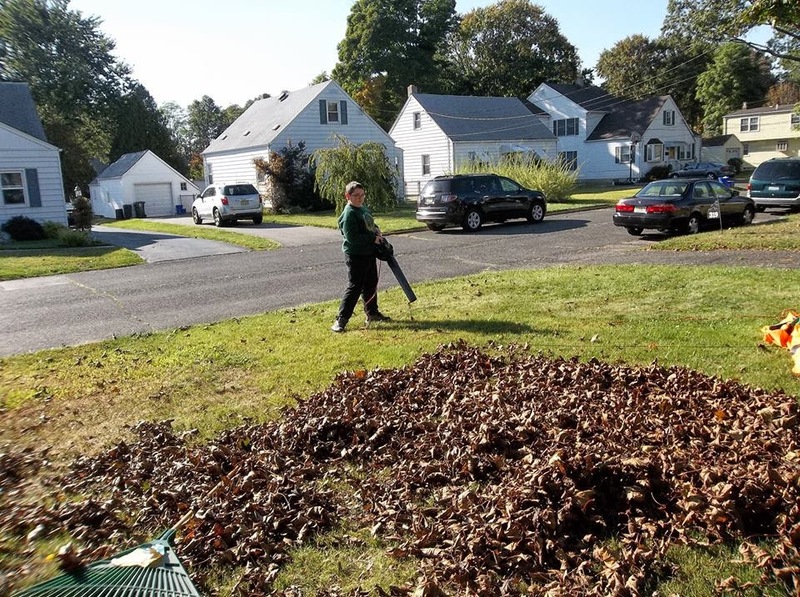 While Joey made with the leaf blower, I consolidated, scooped and bagged. Even so, I did get on the air for all of about a 1/2 hour and made six NJ QSO Party contacts. Think I should bother to send a log in? Hi! Ah yes, the joys of home ownership in the Autumn. The silver lining is, that at least this year, I have some one to lend a hand. The SET session went well. My wife had to work late, so I was able to get on the local VHF net which is affiliated with the NTS, in order to pass on our SET report. Admittedly, it's been years since I have handled any traffic. However, I was very active back in the 80s, serving for a long time as a NCS of the very traffic net I checked into. In fact, I was assistant to the Net Manager for quite a while there, also. So while I'm rusty, I'm no neophyte to traffic handling. Here's the sticky part. I made my message as brief as possible, but it still came to a check of 27. And I got to listen about it. Yes, I understand the ARRL message form has lines for 25 words, but c'mon, really? These messages were local in scope and weren't bound for the Second Region Net or anything like that. And it was only two stinkin' words over. You're going to give me flack for that? I hate to sound like an old crotchety curmudgeon, but back in the day, we sometimes handled messages with checks as long as 30 or even sometimes 35 words. And if some evening, you're lucky enough to get a ton of check ins, you're not going to send a net report because it would be over 25 words? Seems to me the NTS should be begging for traffic, not making remarks so that people couldn't be bothered. This is the weekend for the 2014 SET - Simulated Emergency Test. Are you and/or your club participating? The South Plainfield Amateur Radio Club - SPARC, will be! We are going to meet tomorrow at 10:00 AM at out EOC. Once there, I will hand out scripts to the "players" who will be dispatched at various sites around town. Basically, without giving away too much (some SPARC members actually read this blog - can you believe it?) we will be providing backup communications for the town as the result of a major natural disaster, including but not limited to, the manning of the regional shelter that is located in our town. Each ARES/RACES member will receive an individualized script and will be directed, at specific times during the drill, to call the NCS and report a "situation". What is NOT scripted is the follow up actions and communications that will flow as a result of the reporting of the "situation". NCS has no idea of what he will be called about - the following communications will be dealt with as the circumstances dictate. Right now, the script is still evolving and won't be finalized until tonight. This is when I should have a very good idea as to how many SPARC members will be participating in the drill tomorrow. Since tomorrow is Yom Kippur, some of our members will be unable to attend. I don't want this to be a boring, tedious drill. I want our members to actually do some communicating, and we will see where we go from there. My part in all of this? I will sit in the EOC and will play the role of ICS, throwing some curveballs to the NCS as well. This should be interesting. In addition, I will be looking for a volunteer to send a report of or activity to our Section Manager, our Section Emergency Coordinator, and our County ARES and RACES chiefs via NTS. (I would do it myself, but I'm taking the XYL out for dinner tomorrow night - today is our wedding anniversary!) This should be a good learning experience for some of our members who haven't has much experience with NTS. Instead of sending it as book traffic, maybe I can get four volunteers to send one message each. A daze, that's what it was. Last night was the second session of our eight week Technician class license class. I think some of our seventeen students walked out of the building with dazed expression on their faces. And I guess that's to be expected right now, as we're out of the introductory "This is Amateur Radio" feel-good fluffy part and we're now into the heart of the course, which is basic electricity and components and all the good stuff. The concepts of current, resistance, voltage were easily digested by their inquiring minds. The concepts of capacitance, inductance, reactance and impedance? Not so much. But Marv K2VHW and I broke it down into the simplest "lay terms" that we could and I am pretty confident that they have a basic, rudimentary (if not shaky) understanding of the concepts. I am trying pretty hard to find "real world" equivalents that they can relate to, so these concepts don't totally fly over their heads. I have to admit that back in Ye Olden Days, when I was studying for my Novice license, I wore the very same expression on my face when I left those sessions each Tuesday evening in October and November of 1978. If you have no concept of electricity and electronics, it CAN seem daunting. But if our students do the required reading, and maybe even do a little Googling on their own, they will have that "Aha moment!" when it all comes together. As a class, they have several things going for them. The first is that our young students are whizzes at note taking. While Marv is handling the teaching part of a segment, I try to keep an eye on our charges, to watch facial expressions and such. The younger students have their highlighters and pens going at warp speed, taking notes and marking pertinent paragraphs and sentences in their license manuals. The older adult students are no slouches, either. But there's one important difference - their facial expressions are more telling. While the "kids" are sponges, absorbing all this stuff, every now and then, I will see one of the adults screw up their faces as if to say "What?!?" It's at that moment when I will try to pause things for a bit and try to interject an example or some such thing that they're familiar with that brings the concept home to them. The important thing that we try to stress as much as we can (without beating them over the head with it) is that they HAVE to do the required reading homework. This way, we can answer any questions on any sticky points that they might have. We also give them the reading material that will be covered in the next week's lesson, so that they're not walking into the material blindly. These two weeks will probably be the very hardest of the eight week class. Electrical concepts and components last night. And next week, electronic and basic radio circuits. After that, we'll get into "the good stuff" - propagation, antennas, operating procedures, setting up a station, etc. That material is probably more in line with what they expected when they were signing up for an Amateur radio course. I will make it my business during this coming week to make up a handout with some Internet sources that they can refer to in order to make the "meat" that they were fed last night just a little more palatable. As any licensed Ham knows, this is an ongoing process that doesn't end with passing the test. In fact, it's just the very beginning.